Breitbart News interviewed Zinke, a member of the House Armed Services Committee, about Iran backing Shiite militias in their fight against the Islamic State (ISIS, ISIL) in Iraq. “It’s problematic because you have an Iranian influence versus an ISIS influence and both of them are leading to the same destination of a horrific scenario,” continued Congress’ only Navy SEAL veteran. Iran and the Shiite militias it supports are reportedly leading the fight to retake Tikrit, Saddam Hussein’s birthplace, from ISIS. This poses a military and political dilemma for the Obama administration, which has been under criticism from Republican and Democrat lawmakers over negotiations to rein in Iran’s nuclear ambitions. 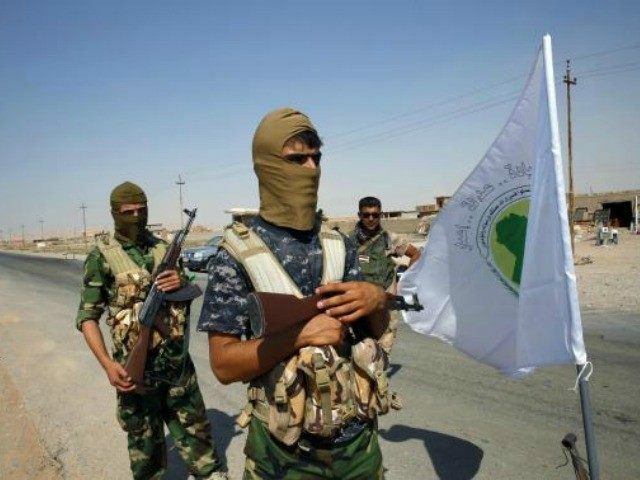 Gen. Martin Dempsey, chairman of the Joint Chiefs of Staff, told lawmakers this week that the involvement of Iranian-backed Shiite militias in the battle for Tikrit could be a “positive thing” as long as it does not enflame sectarian tensions. Reacting to Gen. Dempsey’s comments, Rep. Zinke told Breitbart News that Iran will “definitely” exacerbate sectarian tensions. Rep. Zinke blasted the Obama administration for allowing Iran to take the lead of military efforts against ISIS in Iraq. Rep. Zinke pointed out that Iran is taking advantage of the Obama administration’s lack of leadership and resolve in the Middle East. “Iran sees that under this administration, we’re not going to get serious about it, so they’re filling a vacuum and gaining more and more influence in Iraq,” added Zinke. Zinke joined other Republican lawmakers in sounding the alarm on Iran’s growing influence in Iraq. Gen. Dempsey told lawmakers that Shiite militias backed by Iran make up an estimated two-thirds of the 30,000-strong offensive to retake Tikrit, adding that Iran is also providing artillery and other supplies. Maj. Gen. Qasem Soleimani, a notorious Iranian commander, is leading the Iraqi offensive to seize back Tikrit from ISIS, reports Newsweek. Soleimani once led the elite Quds Force, the special operations arm of the Iranian Revolutionary Guard Corps (IGRC). Gen. Soleimani is considered “a reviled figure in American security and military circles” because he once directed a deadly campaign against U.S. troops in Iraq, notes The New York Times. Zinke said that the U.S. should ensure the support and logistics it provides to Iraq goes directly to the Kurds. The Montana lawmaker also told Breitbart News that the Obama administration blew multiple opportunities to diminish the growing Iranian influence in the region. “We need to isolate and push aside the evil part of Islam which is ISIS and I believe also Iran,” he said.